I truly hope that you will enjoy this SENIOR SALON ROUNDUP: AUGUST 27-31, 2018 posts shared by our fellow Bloggers. 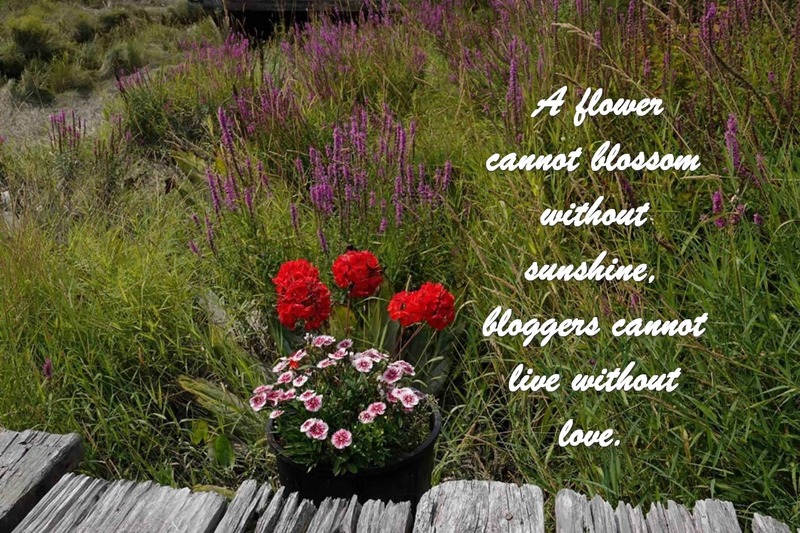 bloggers cannot live without love. We received a fabulous group of new bloggers sharing their posts here at the Senior Salon. Welcome to our weekly Roundup at the Senior Salon. This week, I shared your posts on Mix. Please, help us spread the news of this weekly linkup by sharing this with your own fellow blogging buddies, as we do need your support and help to grow, and invite them to come and participate in the fun and share their posts here at the Senior Salon. A friendly reminder: Please ONLY share a POST Link and not your blog link. Please, will you be so kind and share this on your own blog with a link back to this post! Also, it will be much appreciated if you can share this via your social media, as this will help our Weekly SENIOR SALON to grow! Thank you in advance! Let’s be a Sharing, Inspiring, Promoting Bloggers community! The Next link Linkup will start on a Monday @ 02:00 am and will end the Friday @ 8:00 pm PDT (Pacific Daylight Time). ***When participating, you automatically provide your permission that I/or any other participant can share your link/s left here at Senior Salon on any social media outlets to showcase your post/s. Please visit your fellow silver bloggers, read their posts, leave them a word of encouragement, and then share on your social media or tweet the posts. When I tweet your post I will add the following, so feel free to use any of these tags as well. A great line-up this week. Thank you Darlene, yes the best number of entries thus far. Hope we can get more traction and go as we go forward. We just need each member to invite a minimum of 2 buddies each week to come and share and then we will have even more awesome reads. Just love this. I have silver in my hair!! Will be post next tomorrow. Amelia – This is good news, I look forward to seeing you there. Please also invite your fellow bloggers to come and join in.